Welcome to the Inclusion blog for Waterside Primary School. Here you will find up to date information regarding Inclusion at Waterside. 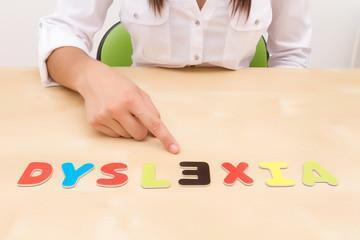 This week's blog will be focusing on one of the areas of SEND - Dyslexia. Dyslexia covers a wide range of difficulties and it is unique for each individual. It causes difficulty in the skills needed for learning to read, spell and write; but it is much more than that. It can also cause issues with organisation or forgetting what someone has told you, or their name. Even memorising a mobile number or multiplication fact can become a struggle. 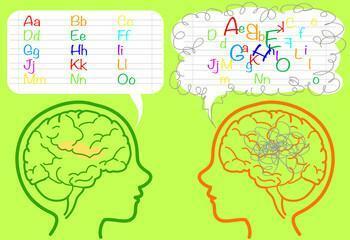 There is no medicine that will cure dyslexia, the brain works differently. But having dyslexia does not mean you lack intelligence. An impact of dyslexia is low self-confidence. When you can’t seem to do the things other people find easy, then you start to believe it when people tell you you’re lazy or stupid. But when you stop trying there is no hope of success. The first step is to make a child with dyslexia understand that they can succeed with a different approach. At Waterside we use many different techniques to build self-esteem with spelling. If you are concerned that your child may have dyslexia, firstly speak to Mrs Wills who will be able to offer you some help and advice. While reading, missing out words or missing off the end of a word. Forgetting what has just been read. This week has been an important week in school for Social, emotional and mental health as it has been Children's Mental Health week. Mental health affects around 1 out of 10 children and young people, and can be seen in many different ways. It is important as a school that we make children aware of what mental health is and what they can do if the ever feel that need some help and support. At Waterside, Mental health is not something that we only promote during mental health week but all day, every day. Mrs Mason is always there to help and support any child who may be going through a difficult time. Emotional well being is just as important as physical well being and it is something that we encourage parents to talk about with their children. Having good mental health will allow children to build in confidence and resilience. * Keep physically fit - it is proven that exercise helps us to feel better about our selves. There are a number of factors that can result in problems with mental health. These may not necessarily cause mental health problems but they could cause children not to feel themselves. If you notice a change in your child's behaviour do not hesitate to contact us. School is always here to talk to yourself and your child if you have any concerns. We have a nurture programme where we can help support children initially with their problems and help direct the child and parents to the right service. You can also help your child. Having an open relationship with your child will help them to talk through their issues with you. Allow them to explain how they are feeling. Professional help can also be sought. A nurse, counsellor or educational psychologist may be able to help. You can also speak to your GP who may refer you to CAMHS - Child and Adolescent Mental Health service. This week have had the pleasure of looking through the children's books, and I was blown away by the progress that your children are making. They are growing in confidence and this is clear to see in their learning. Many children are now accessing their year group curriculum and this is great to see. They are being challenged in their lessons ,and supported through well differentiated tasks. Many of the children are now beginning to work independently and this is something that we have been working on in school. Most of the learning that I saw was well presented and children really do have pride in their learning. One of the areas that the children still need to work on is their spelling and we have many children who are on the SEN register with this area of concern. So, How can you help support with spelling at home? Learning to spell for some children can be quite tricky. At waterside we beginning the spelling journey using phonics in FS2 and gradually move on to selling patterns at KS2. This website is great for top tips on how you can help you child at home. Remember that we also run Parent workshops so you can see how your child learns. Any questions or any support you need please do not hesitate to contact me or make an appointment with the office. I often get asked the question - What is Inclusion? Inclusion in it's simplest terms in Education is where all children are provided with an equal education despite of their individual needs. At Waterside, Inclusion seamlessly weaves through our school and is embedded in all aspects of school life. At Waterside we believe that it is essential that all children are provided with the tools to progress in their learning. All children on the SEND register receive a learning passport which describes their strengths and areas for support; they receive individual targets and tailored interventions to support them. These are reviewed each half term in line with our Pupil Progress meetings. We also ensure that children who are registered as More able, Gifted and Talented receive quality first teaching that is well differentiated and challenges them academically. Children's wellbeing is also extremely important to us and we have a full time Nurture Lead, Mrs Mason, who can provide children with support with their Mental Health. If you require any help or support with your child please do book an appointment to come and see us.